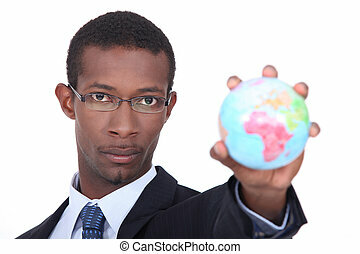 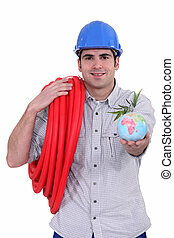 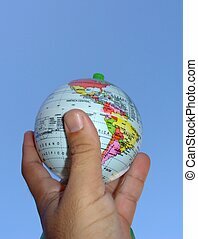 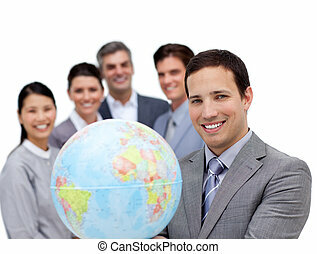 Business team holding a terrestrial globe. 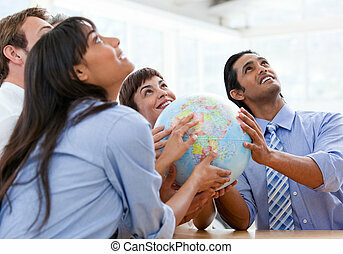 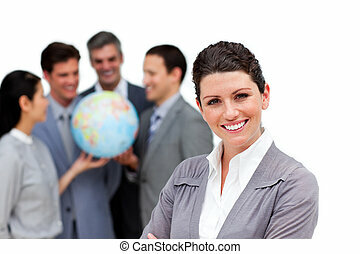 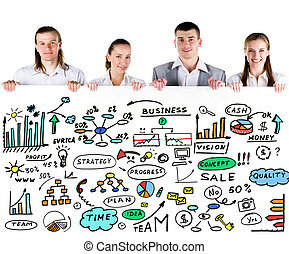 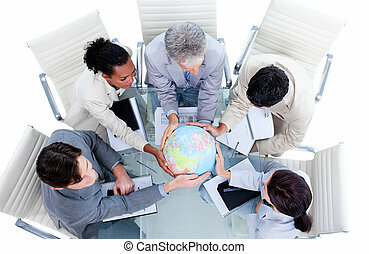 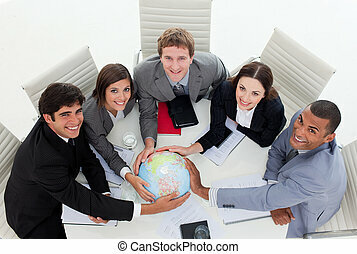 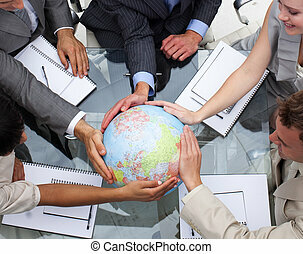 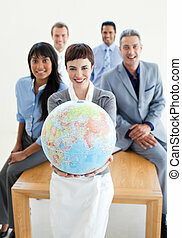 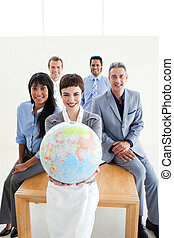 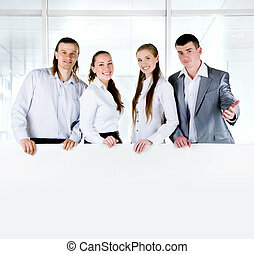 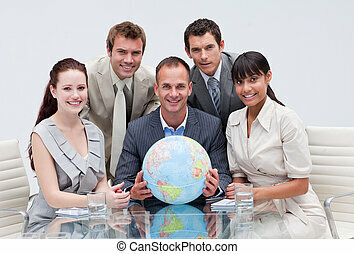 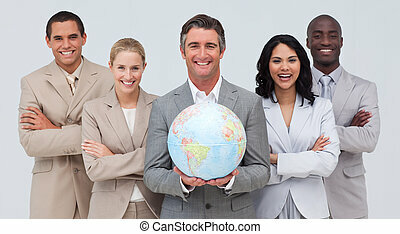 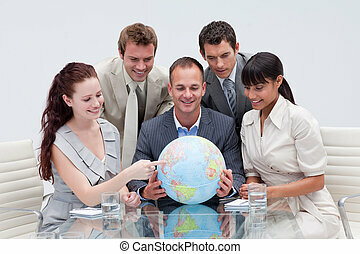 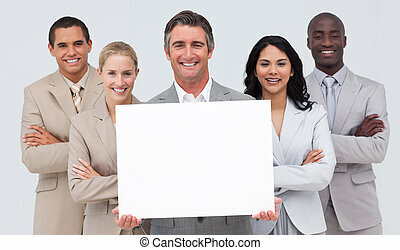 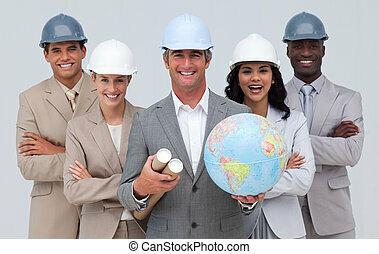 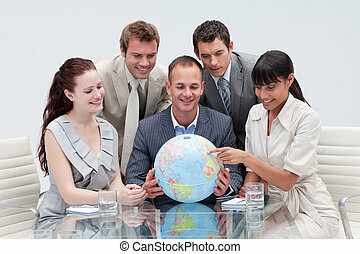 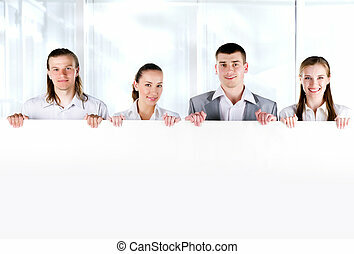 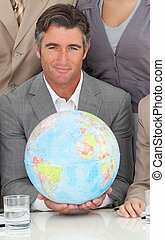 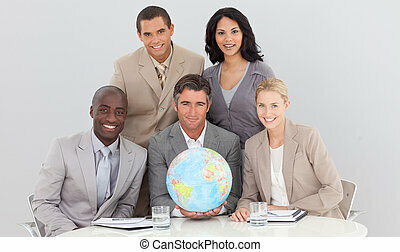 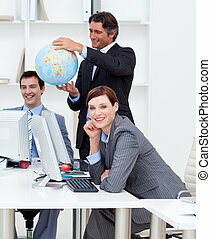 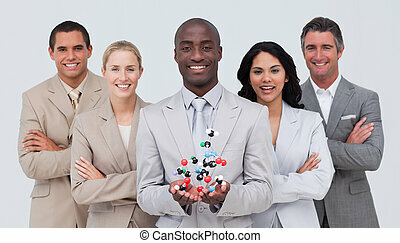 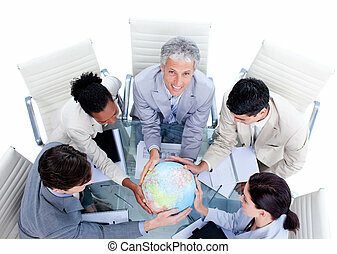 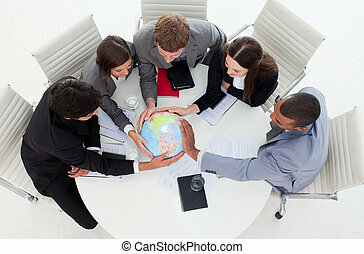 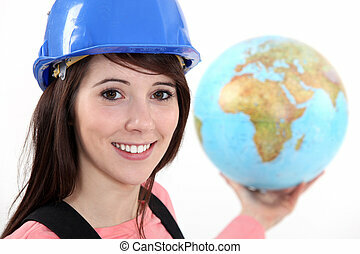 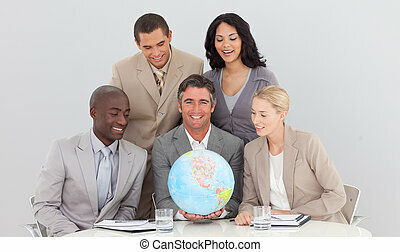 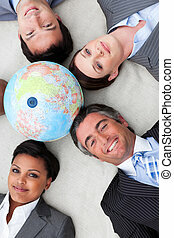 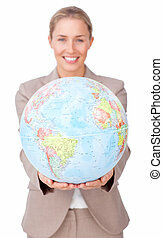 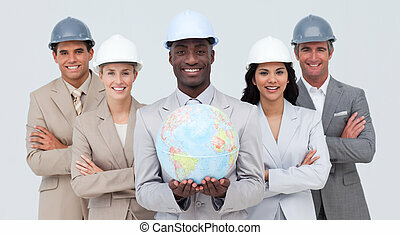 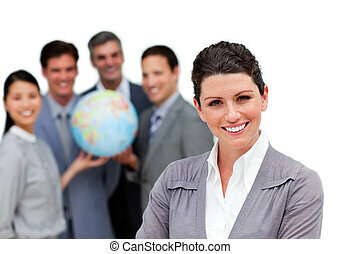 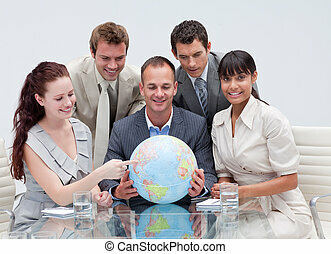 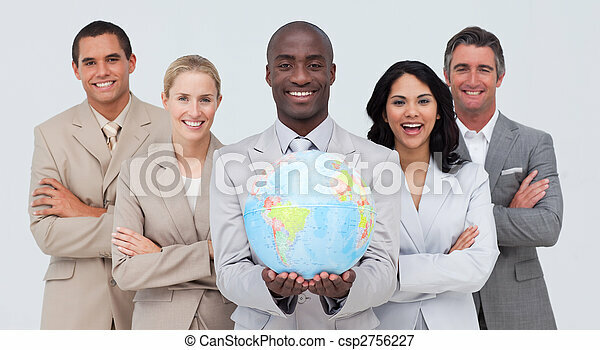 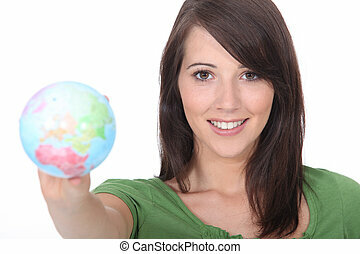 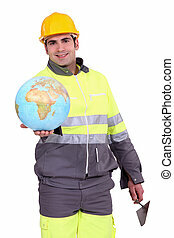 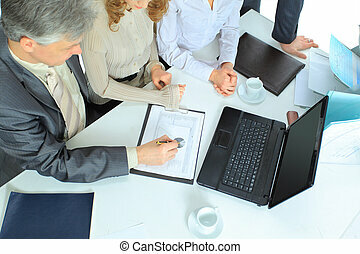 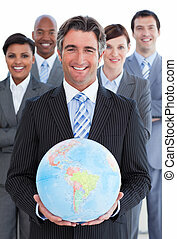 Multi-ethnic smiling business team holding a terrestrial globe. 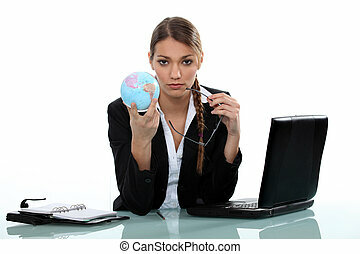 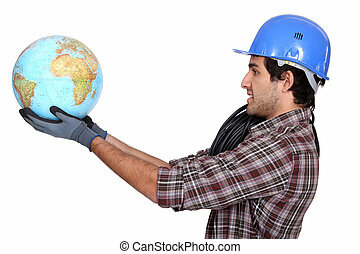 Pensive manager holding a terrestrial globe with his team working at computers.